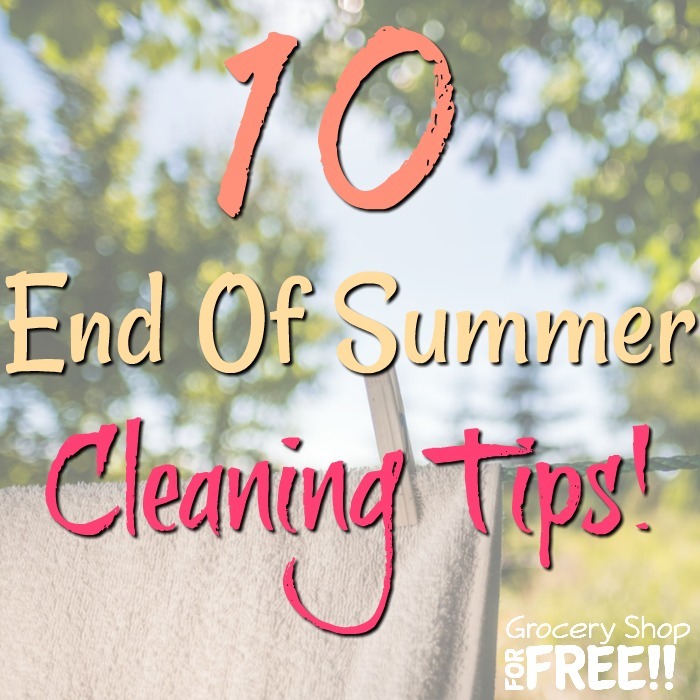 You are here: Home / Family Living / Household Hacks / 10 End Of Summer Cleaning Tips! Labor Day has passed and school has started, all of which marks the end of summer! Out with the heat and in with the cooler weather and thoughts of upcoming holidays. The end of summer means trading your sleeveless tops and flip flops for warmer clothes. With the kids back in school we have a little more time for other things, and now is a great time to do an end of summer clean up! 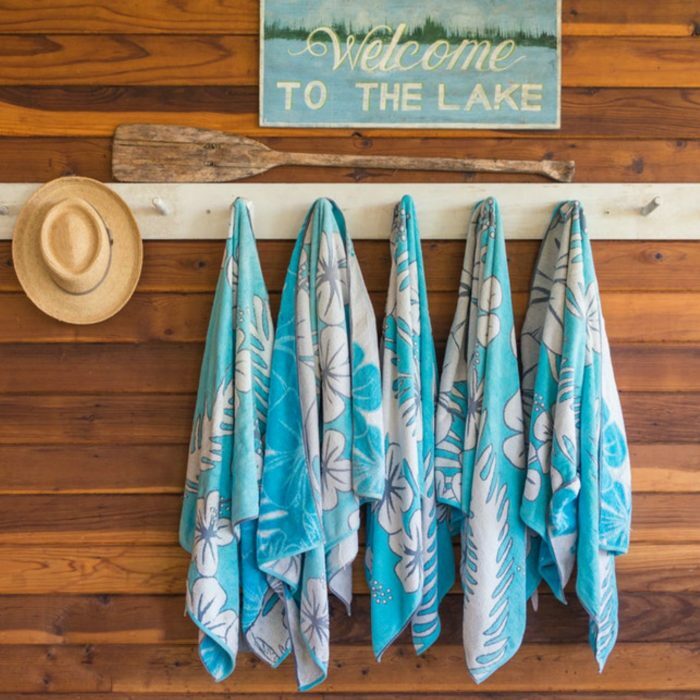 Since the outdoor pool and beach season has come to an end, give those beach towels their much-needed cleaning and disinfecting before you prepare them for storage. Disinfect the towels by using the hottest water temperature that the fabric will allow and add a small amount of fabric softener (you can score a FREE Downy Unstopable!) that will make the towels not only soft but smelling great. After running the air conditioning all summer this is a great time to change your air conditioner filters one last time before winter, too. Because we all know changing it once a month throughout the summer months will help it work better. Changing the air filter helps capture the pollen, dust, and lint from the air passing through it more effectively. Plus, changing it at the start of every season also protects and maintain your system. 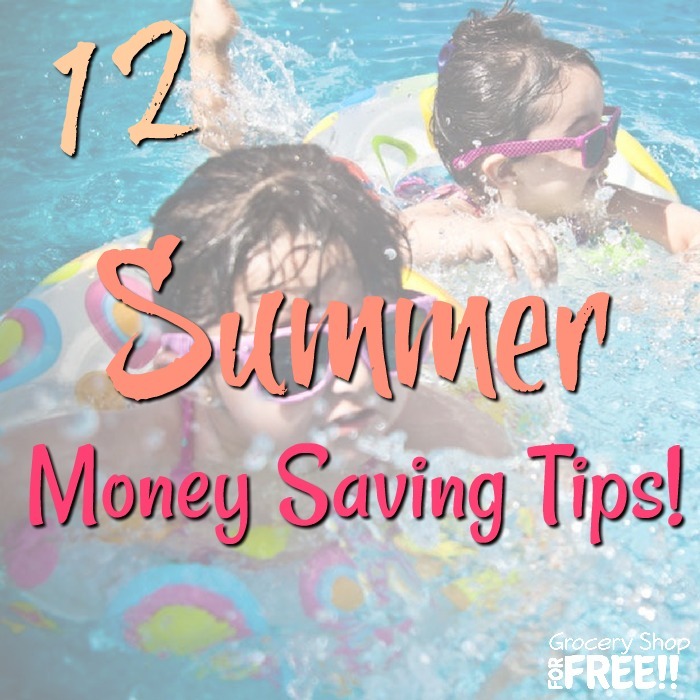 You might also like: 12 Summer Money Saving Tips! After days of summer barbecues, your grill could use a serious cleaning to remove all of the cooked-on grit and grime. You can either have a professional do the “dirty job” or you can do it yourself. 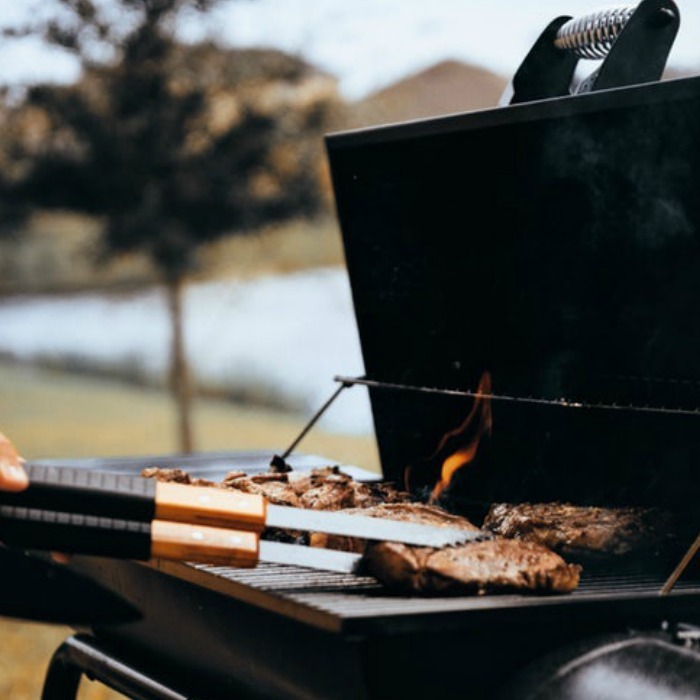 If you choose to opt for the DIY route, soak the grill into a bucket of warm soapy water for several hours then use a heavy-duty grill scraper to remove the top layer of cooked on mess. You may also use a degreaser to clean up the grates as well as the exterior of your grill. Finish it off by wiping it dry with a fresh microfiber cloth. 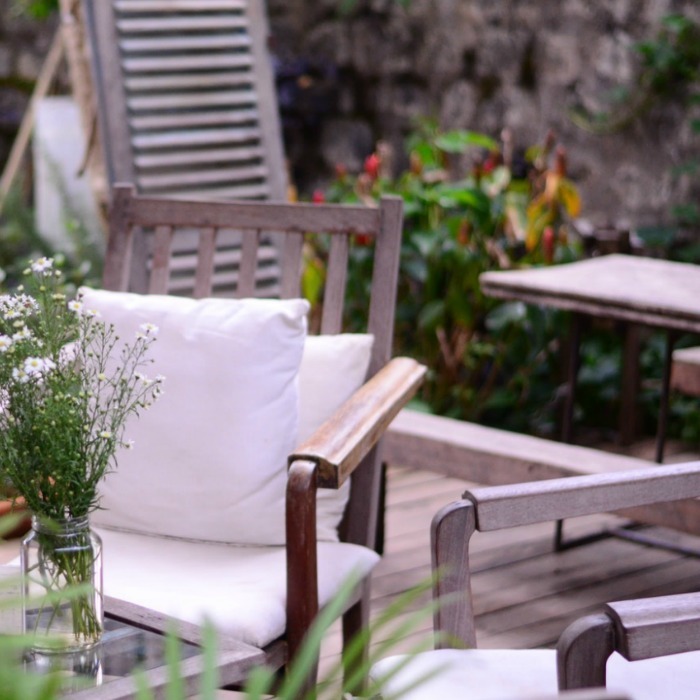 Give your outdoor furniture a little more love with a thorough cleaning! Remove all the built up debris and keep them looking good by spraying them with an all-purpose cleaner and wiping them down with a damp cloth or sponge. If you are using iron or stainless steel pieces, you may use steel wool to remove oxidation or repair them to prevent future problems. Clean out your garage and get rid of all the grass and debris that accumulated during the hot weather months. If you are worrying that cleaning your garage is hard, there are simple ways you can maintain the cleanliness of your garage. Remove oil stains from the concrete garage floors by using a cleaner made just for that job. Keep your family safe and bring down your utility bills with weatherproofing. Unnoticeable small leaks can threaten your whole family’s health. Water can seep into your home, dampen your walls, and cause respiratory and other health complications. Visually inspect all windows and doors for any gaps and leaks. Try to close and open the doors and windows to check the functionality of the hinges. If you notice hinges are weak or do not fit snugly into place, most likely that means it can leak air and let in moisture. Another way to find out if there are leaks is to dampen your hand with water. Pass your wet hands around the frames. If you feel cold in some areas, then, it means that there are leaks. A low-cost and easy fix is weather-stripping. Attach weather-stripping around your doors and windows that have leaks. If you can’t seem to fix the leaks, you might want to think about upgrading your doors, and/or windows. After a summer filled with shopping garage sales, thrift stores, and malls, it may be time to clean out your wardrobe. Not to mention the minute the school year starts, you’ll find a lot of brand new clothes out of the drawers and all over the floor. Dedicate a day to clean out all the closets in the house. Ask your children to make two piles: One for clothes that don’t fit or they want to get rid and another one for those they want to keep. For clothes that they want to keep, throw them in the laundry and neatly fold and hang them in the closet. 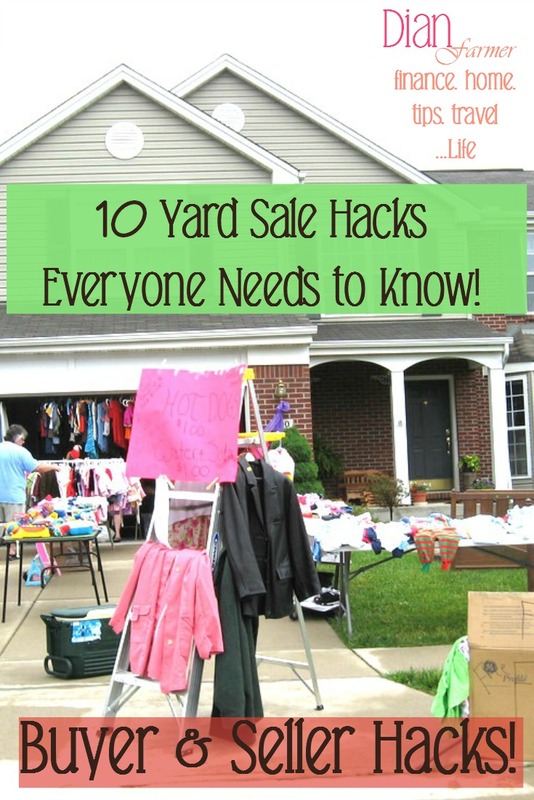 For those they don’t want anymore, you can either have an end of summer garage sale or donate them. You may not be aware but your favorite summer essentials may get grimy and even mildewed if not stored properly. 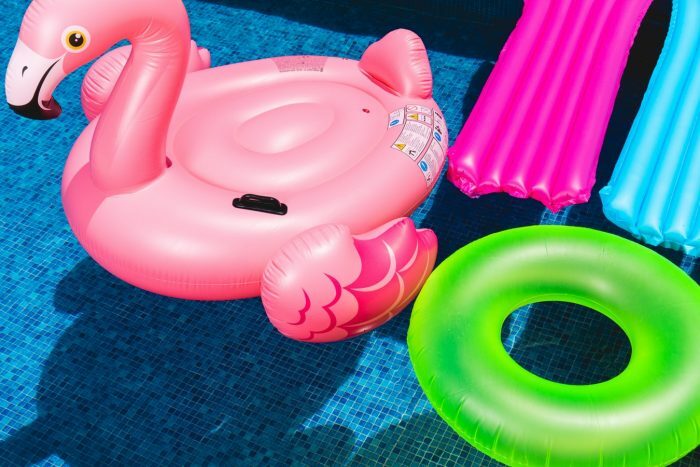 The floaties, plastic pool toys, and rafts need to be cleaned. Pour some vinegar into a paper towel or soft cloth and wipe them all down. This will disinfect your favorite summer toys. By using household vinegar you don’t need to worry about the harsh chemicals touching you or your child’s skin. Plus, it’s cheap and it’s something you probably already have in your kitchen. Be sure to clean all of the garden tools. You want to make sure they are well disinfected so they don’t spread any disease. 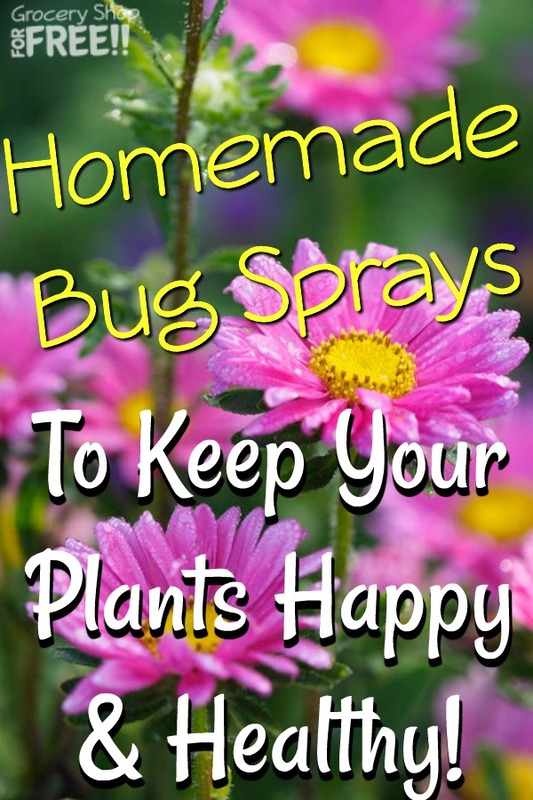 It’s a good idea to disinfect them each time you move from one plant to another, too. Use 70% isopropyl alcohol to disinfect your tools. Dip the tools you want to clean in the alcohol, then remove them and allow them to dry. Alternately, wet a rag with alcohol and wipe the gardening tools down. You could use wood, grain, or rubbing alcohol. 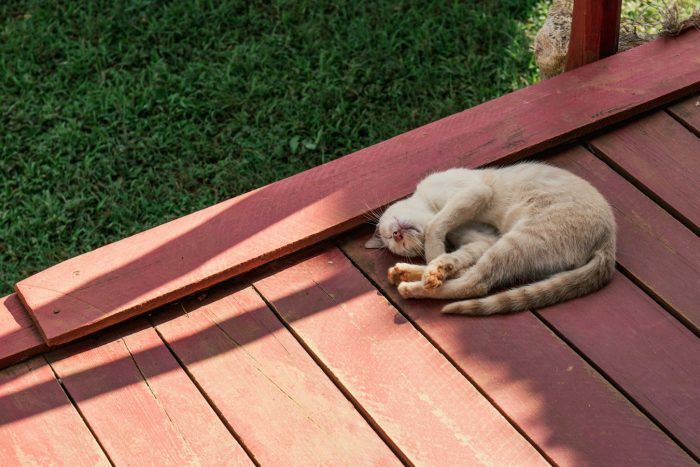 Be sure to clean your deck/porch to preserve it and be able to make even more great memories there with family and friends. You can remove stains and other debris with a mop and bucket of hot water mixed with dishwashing liquid, flaked laundry detergent, or commercial deck cleaner. Once you’ve done a thorough cleaning you can use a waterproof sealer and that will do the job for 3 years. Just make sure you make a note to remind you to do it again in 3 years. 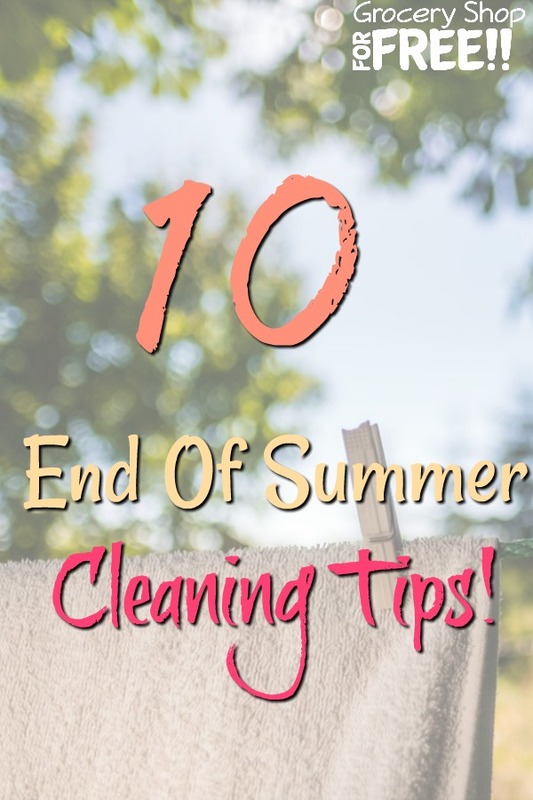 End of Summer cleaning is not as huge a chore as you might think. If you know what to do, it can be a breeze. Plus, you can ask your kids to help, too!